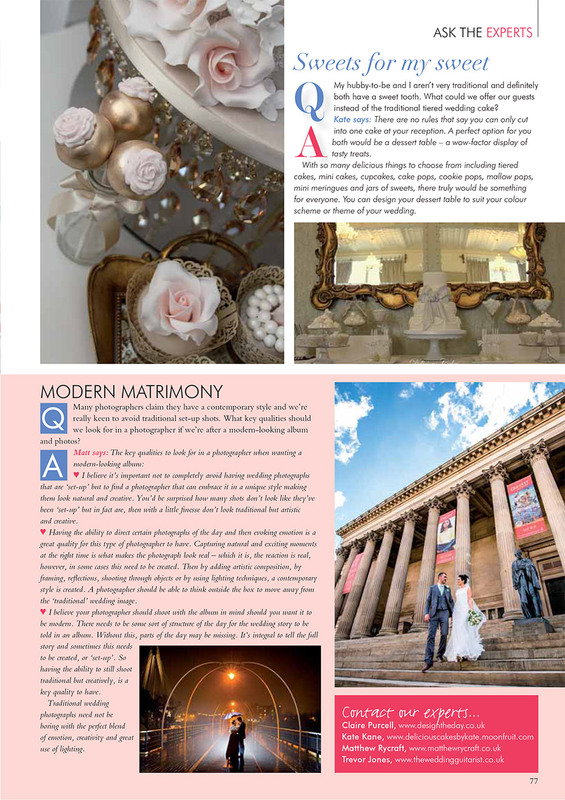 It was a privilege last month, to be the resident Wedding Photographer Professional for Your Merseyside Wedding Magazine. Last Months Hot Topic Article wonders that many wedding photographers claim to have a contemporary style and the couple are really keen to avoid traditional set-up shots. I discuss the importance of “shooting for the wedding album” as this will form the blueprint for a fabulous album that tells your story from start to finish. Plus there’s nothing wrong with set up wedding photographs, is there? Many wedding photographs you see online have more than likely been “created” but shot to look real, in the moment, or journalistic. Here at Matthew Rycraft, we call it directed, the moments pretty much there, but with a little finesse and fine tuning. A wedding photograph can go from “lovely” to “amazing”. And of course some bride and grooms need a little encouragement in front of the camera. Everyone wants to look amazing in their wedding photographs, with a professional wedding photographer, they should have the ability to bring this out or at least guide or even, as we say “direct” you. Just because a wedding photograph is set up, it doesn’t mean it has to look that way, this is where the skill is! 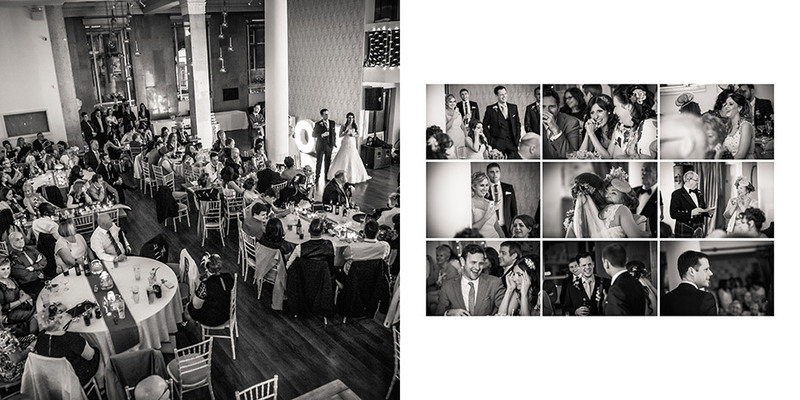 We direct most of our key photographs and I bet you would be none the wiser…. Making them look natural is the key! Check out our wedding galleries. Get in touch if you would like more information on our services. Q. What key qualities should we look for in a photographer, if they’re after a modern-looking album? 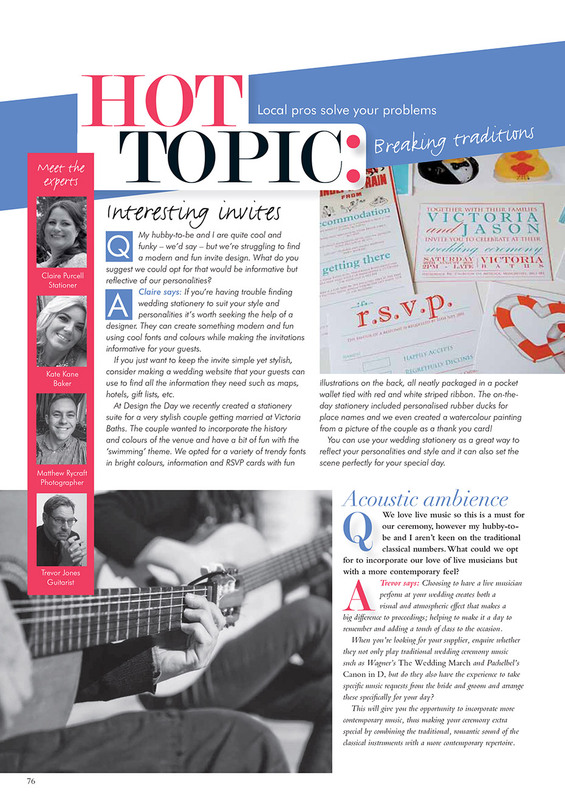 I answered…”I believe it’s important not to completely avoid having wedding photographs that are ‘set-up’ but to find a photographer that can embrace it in a unique style making them look natural and creative. You’d be surprised how many shots don’t look like they’ve been ‘set-up’ but in fact are, then with a little finesse don’t look traditional but artistic and creative. Having the ability to direct certain photographs of the day and then evoking emotion is a great quality for this type of photographer to have. Capturing natural and exciting moments at the right time is what makes the photograph look real – which it is, the reaction is real, however, in some cases this need to be created. Then by adding artistic composition, by framing, reflections, shooting through objects or by using lighting techniques, a contemporary style is created. A photographer should be able to think outside the box to move away from the ‘traditional’ wedding image. I believe your photographer should shoot with the album in mind should you want it to be modern. There needs to be some sort of structure of the day for the wedding story to be told in an album. Without this, parts of the day may be missing. It’s integral to tell the full story and sometimes this needs to be created, or ‘set-up’. So having the ability to still shoot traditional but creatively, is a key quality to have. Traditional wedding photographs need not be boring with the perfect blend of emotion, creativity and great use of lighting. Please find below a selection of wedding album pages from various wedding album to give you some inspiration.